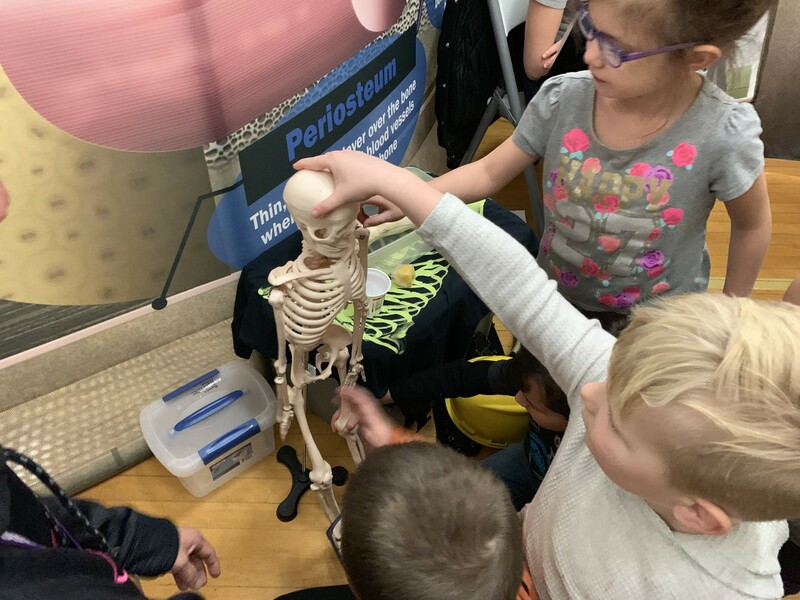 Most of our students were taken on an adventure through the human body last week with the Body Venture from KSDE's Nutrition & Wellness department. A huge shoutout needs to go to our high school students. First, our baseball team spent an afternoon setting up the exhibit. Second, a group of students with aspirations of medicine or education presented to our students as they weaved their way into the mouth and around the body to its various parts. We couldn't have pulled off this worthwhile adventure without the help of everyone. We finished up another successful Read Across America Week before spring break as we celebrated Dr. Seuss's birthday. 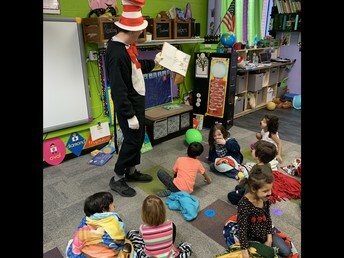 We had dress-up days and students of all ages reading to one another. 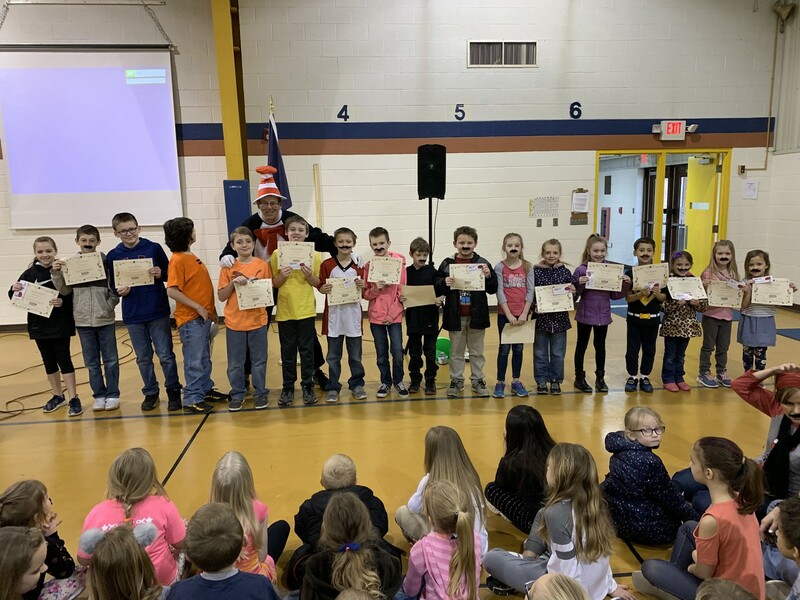 Rise and Shine Friday saw us learn about our new word of the month, PATIENCE, from second grade, and our students living with OPTIMISM were awarded as well. 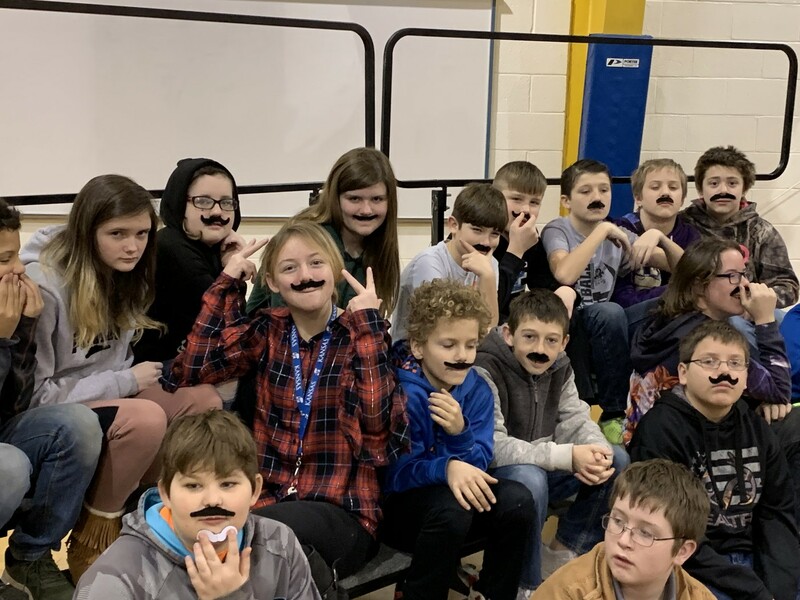 Coming up in our last quarter of the year will be the return of the Living Wax Museum, music concerts, and of course, state assessments. We are proud of everything our students have accomplished this year and look forward to seeing what amazing things they have yet to achieve! Body Venture Proved to be Awesome! 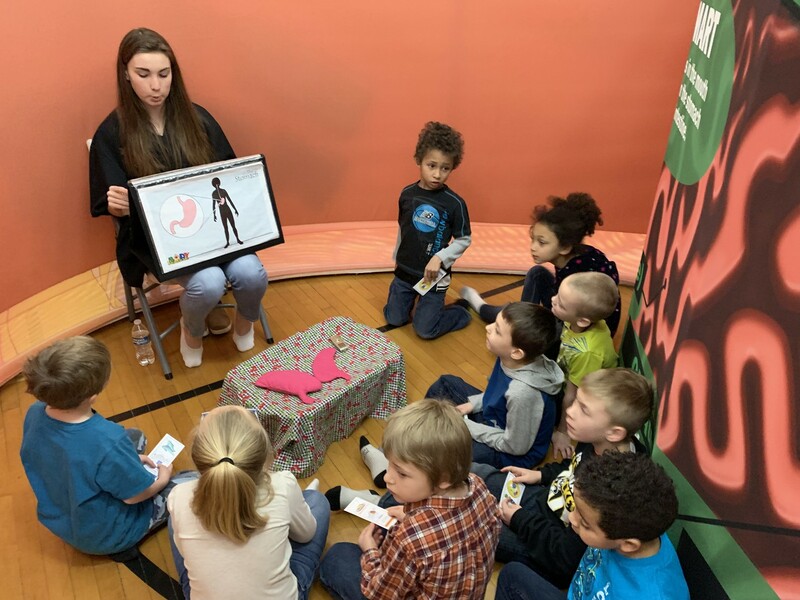 Students were excited the minute they stepped into the mouth at Body Venture. After a stop in the stomach it was onto the small intestine. Students got a hands-on look at the bones inside their bodies. Mrs. Shields was named the Teacher of the Month for February. She is seen here with her "Family Time" family on the morning the announcement was made. Mrs. Shields has done a fantastic job in her role as technology integration specialist, making sure our teachers daily technology needs are being taken care of. She has also done a great job in getting our students up to speed with their keyboarding skills. Congratulations Mrs. Shields. The G & W Receipt Contest is underway. 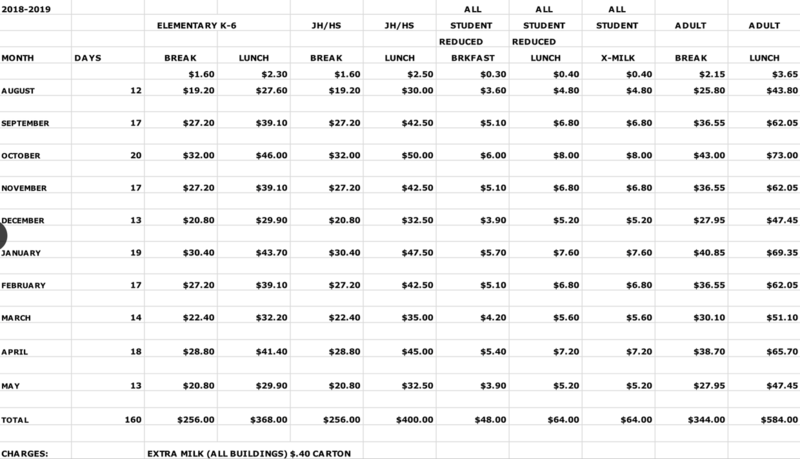 Each grade-level is competing against one another this time with the winning grade receiving a big-time movie party in the gym with popcorn and the works!. We are including Easter so the contest will run until April 23rd with the winning class being announced Friday April 26th. So keep saving those receipts people!!! Rise and Shine was a ton of fun with "The Cat in the Hat"
"The Lorax" was in the house for the last day of Dr. Seuss week. 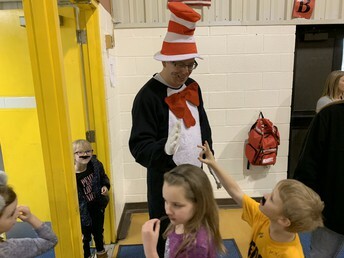 The Cat sent students back to class with a smile. 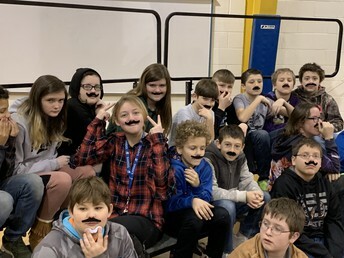 Even 6th graders like to have fun as they show off their beautiful "staches." 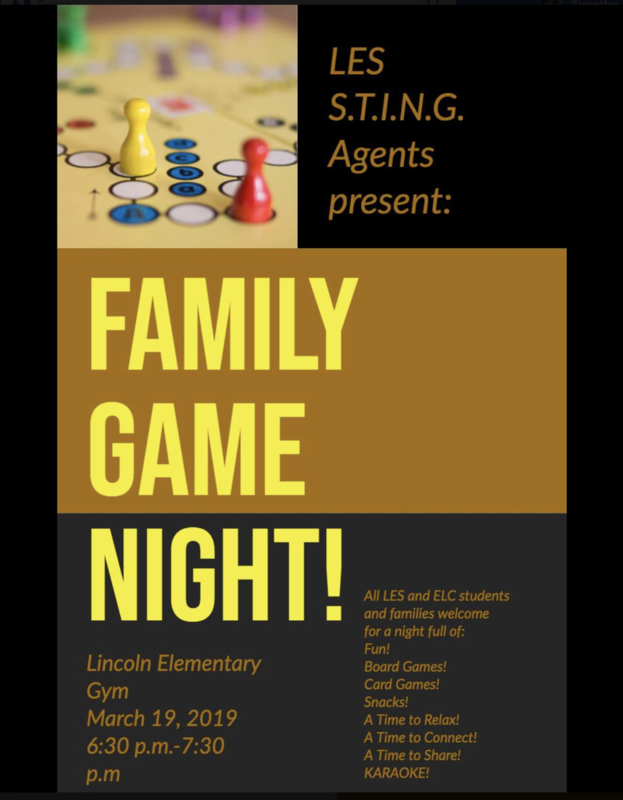 Hello families! March is here, which means Spring is on its way….I hope! That’s Kansas for ya, right!? However, since it is March, that means we are also getting closer and closer to items like state testing and of course, the end of the school year! The end of the school year means transitions for all of our students. For some, that might mean a classroom change and for others it means getting ready for a whole new building! Don’t be surprised if some of your students are nervous about next school year; it is only natural and change can make people a little anxious. How can you help? 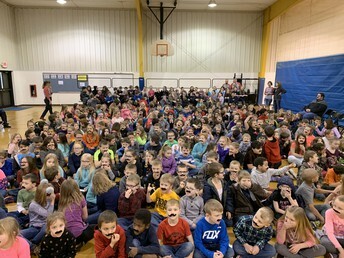 Simple, just listen to your kids and reassure them that even though they might be changing teachers, buildings, and or classes, USD 484 is committed to helping every student succeed and feel welcomed. When we return from spring break, I will be sharing some testing strategies to help calm any worries your student might have as the state assessments begin. Key ingredients to test-taking: a good night’s rest, a good breakfast, and plenty of water! I’ll be giving students the rest of my valuable information just in time to get them to get going on their assessments. The ELC got in on the Dr. Seuss activities! Kindergartners were engrossed in "The Cat's" story. 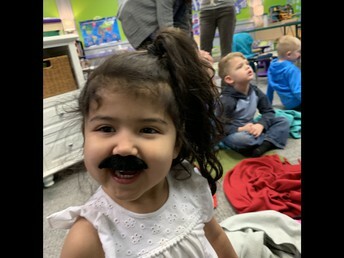 Friday was "The Lorax" day so everyone got a mustache. 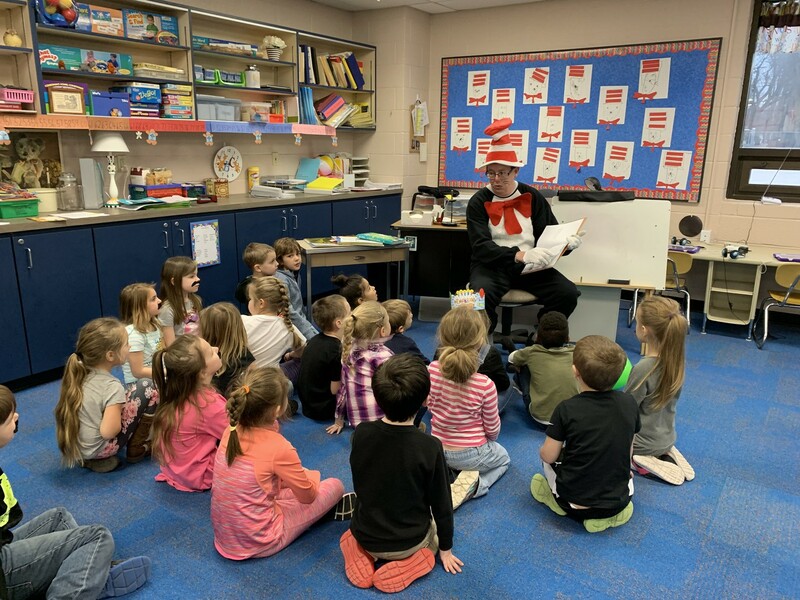 Nothing better than a story with a lesson from Dr. Seuss. This month I am going to talk about traumatic brain injuries and more specifically, concussions. Common signs and symptoms to watch for if your child would happen to hit their head: disorientation, vision changes, light or noise sensitivity, nausea or vomiting, headache, irritability, or difficulty remembering new information. These symptoms could appear right after the incident or days later. 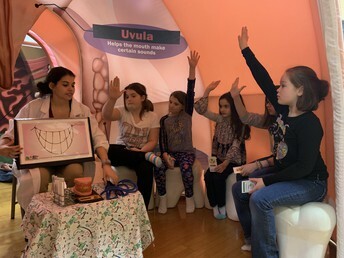 The most important thing to do is take your student to a medical doctor for examination and diagnosis. As the nurse, I will screen the student and then refer a visit if they show any symptoms of a concussion. Recovery=Time. The brain needs time to heal so this can include not being on electronic devices, taking frequent breaks, and not participating in PE, music, or band. Concussion paperwork that is completed by the physician is needed when the student returns to school. This paperwork tells the school what the student can and cannot do while recovering. There are steps that have to be completed prior to the student being cleared to participate fully. An important thing to remember is that once someone has had a concussion they are at greater risk to obtaining another one, and sometimes it takes longer to heal from subsequent concussions. More information can be found at www. cdc.gov/traumaticbraininjury. Contact me with any questions or concerns. 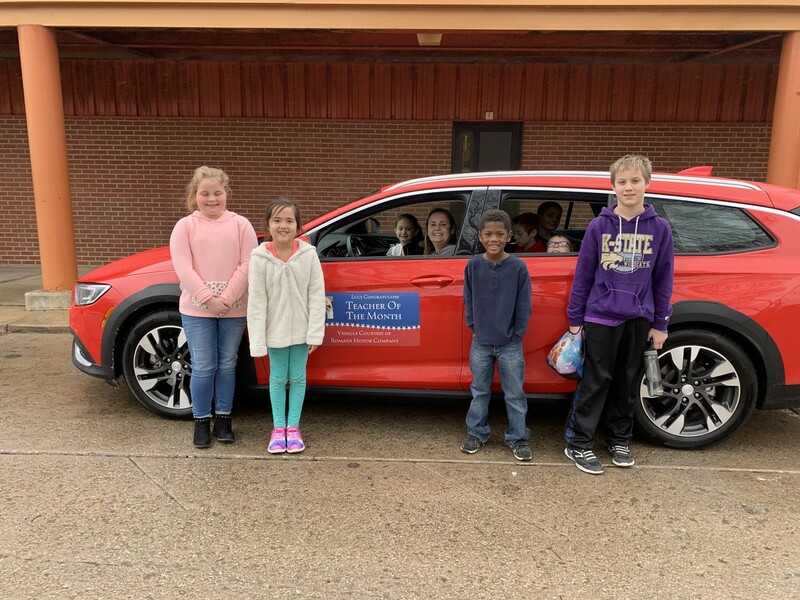 Check out these students living with OPTIMISM in February!